I am not a linear thinker. I started out to write about a book of first meetings that forms a daisy chain of gossipy stories. I ended up on a daisy chain of books that lead to a darker story. So let us jump right in. '"To lend a pattern to a book that revolves around chance... 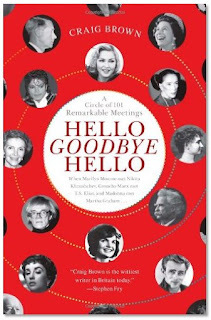 I have described each of the 101 meetings in exactly 1,001 words...the acknowledgements, preface quotes, note to the U. S. edition, book description, author's biography, and list of my other books each consist of 101 words, as does this note." There is such a thing as being too clever! The introduction to the U.S. edition explains who a few British politicians might be, as we Yanks might never have heard of them. It also explains who several actors are. Frankly if you are reading a gossipy book about Marilyn Monroe meeting Khrushchev or how Groucho Marx met T. S Eliot you will probably know who Terrance Stamp and George Lazenby are. I am sure that by the time most reviewers got to the actual book, they were a bit over it. So, Hitler meets Ellis, then Ellis meets Rudyard Kipling. Kipling meets Mark Twain. Twain meets Helen Keller. Keller meets Martha Graham. Graham meets Madonna and we are just to page 15! 314 pages later, The Duchess of Windsor meets Hitler. Snarky trick aside, open this book to any page of the daisy chain and you will find a delightful story about a first meeting. OK, fine, a lot of them are downright bitchy, but that's what makes it fun. Speaking of bitchy... over at Cookbook of the Day we wrote about P.Allen Smith's cookbook Seasonal Recipes From The Garden. 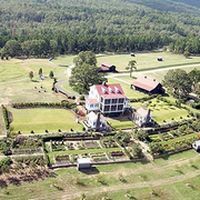 Smith presides over an immaculate little estate comprising nearly 600 acres. While we see Smith pointing out plants and driving the tractor, we never see the people who actually do garden. The people who plant and pull weeds and shovel manure while Smith explores Monticello. We see the same thing with Martha Stewart who throws a special Christmas party for the 45 people who keep her 100+ acre estate looking immaculate while she is in jail or in the Hampton's. 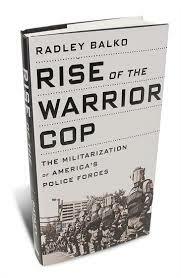 In my stack of books with Seasonal Recipes From The Garden is Radley Balko's book Rise Of The Warrior Cop. After 9/11 police forces were offered lots of money and equipment to make America safe. Soon every little town from Albuquerque to Winooski wanted or got a SWAT team to serve and protect. What happens when police forces get all this SWAT gear? Well, they use it. Andy of Mayberry begins to "Stop and Frisk" for your own good. I must say I wasn't terribly interested in Balko's book past my general concern that we act first and question later until this week when I read an article of his. Balko wrote an article for the Huffinton Post about the Garden of Eden Farm in Arlington, Texas. The Garden of Eden Farm was raided by a SWAT team. They held the owner at gunpoint for half and hour and waited another 90 minutes before any sort of warrant appeared. The entire siege of the Garden of Eden lasted 10 hours. The police seized 15 okra plants among others, including blackberries and tomatillos. One of the farm residents was arrested for traffic violations. No one was arrested for drugs and no drugs were found on the premises. Why did the SWAT team think the Garden was not Eden? The Corner of My Garden, Pre-Weed-Eater. Neighbors complained that the garden was unsightly and reported they might be growing marijuana. The farm did have some problems. The grass that was too tall. Bushes were growing too close to the street. (I thought they like Bushes in Texas?) A couch and piano were in the yard. Chopped wood was not properly stacked. And most damning, a piece of siding that was missing from the side of the house. Save for the piano, this is my house! Unlike Mr. P and Miss Martha, I do not have 40 people keeping thing in tip top condition. It is me and a high-school senior with a weed eater. 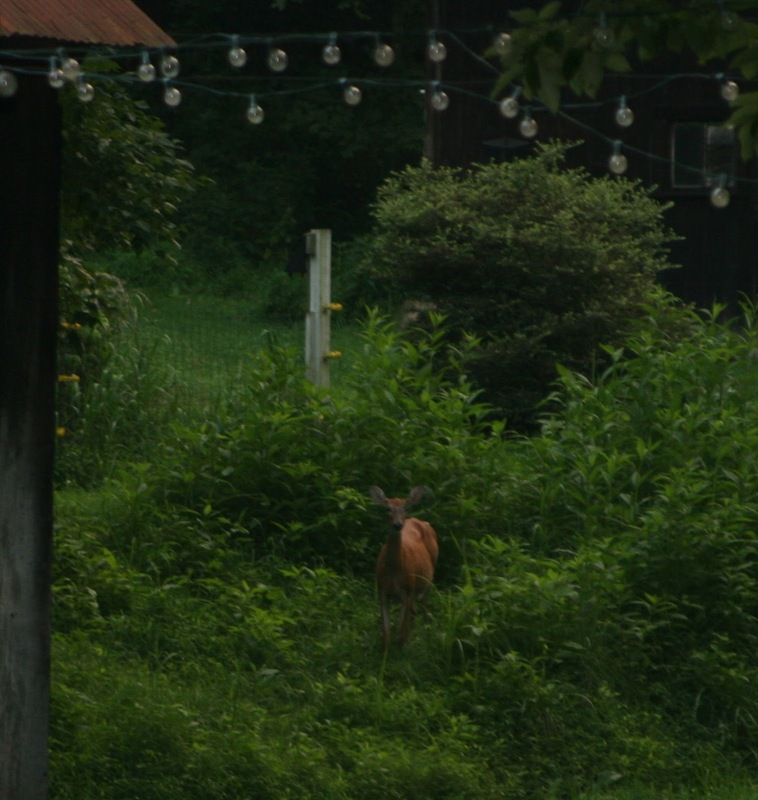 Twice this year I have had to mow the garden as the weeds were so high. This is not an excuse for storm troopers confiscating my okra! Television gives us the illusion that one man with PBS show can maintain a small 600 acre garden. But gardening is hard work and one six foot plot with or without marijuana, is enough to overwork the average person. Regardless of what you see on the television, gardens are messy with or without a piano. Garden are not as messy as Congress, who is more than willing to appropriate millions of dollars of your tax money so your local police station will be ready for terrorists or zombies or illegal aliens from Mexico or Mars, yet they won't pass a Farm Bill with Food Stamps for poor children. Perhaps it would have been a better use of 10 hours time if the SWAT team had simply weeded the Garden of Eden and stacked the wood! Can you imagine what it like to find armed men in tactical gear holding you at gunpoint while their buddies pull up your okra. This year my okra is so bad, I wouldn't mind someone pulling it up, I could use the help. And now we find ourselves back with John Scott-Ellis. His family had more than one farm on more than one continent and he never pulled a weed. In 1931, at age 18, he visited Berlin and bought himself a Fiat. He wasn't the best driver and Adolph Hitler was preoccupied when he failed to notice the Fiat. So John Scott-Ellis meets Hitler by running him over. Hitler is shaken but unscathed. But what if the outcome had been different? I am going home to ponder the eccentricities of the universe, to drink wine, and to mow; lest I be reported to the authorities. Bravo! Well done! I agree with every, every word!! Laughed till my sides hurt! Brilliant!